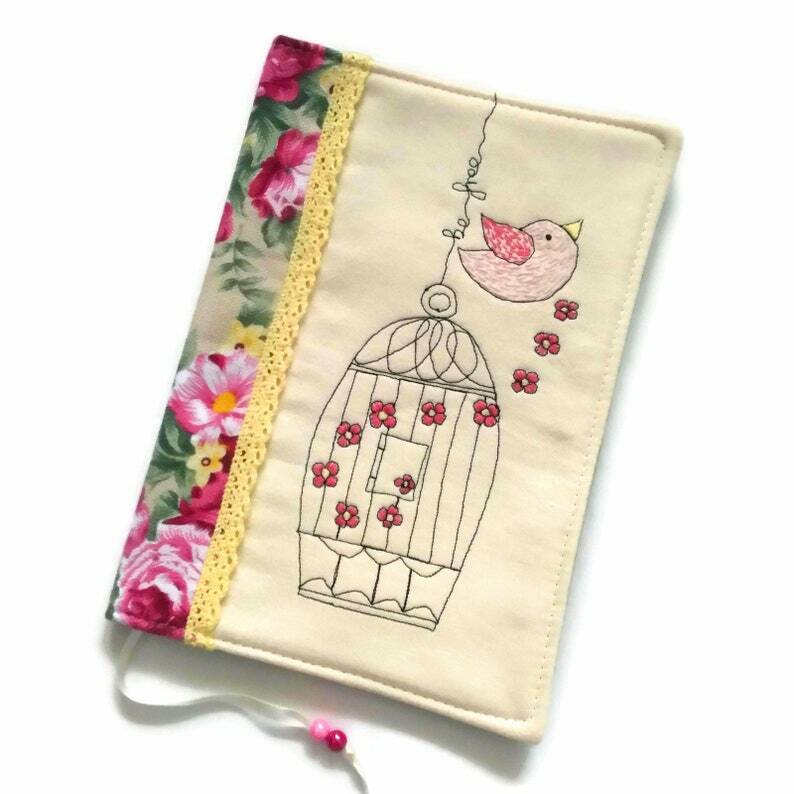 Handmade travel journal cover with beautiful pink roses pattern and hand embroidered bird made entirely of high quality cotton fabrics and decorated with yellow cotton lace. This beautiful fabric book cover is machine-sewn and hand stitched. All the different colors on flowers and bird are hand embroidered with colorful threads. This fabric book cover is fully lined with a green cotton fabric and has a bookmark made of satin ribbon and bead. It‘s lightly padded for structure and durability and it's reusable from book to book. It’s fully lined with a pink cotton fabric. This pink romantic diary cover with embroidered bird escaping from his cage has a short Inspirational and Motivating Message "Be free".